Wine embassy, with a strong and professional team with more than 15 years of experience propose you a real consulting services. With our help, finding wine for an event, matching food for your diner, keeping your bottle are the correct and professional way or helping a restaurant to propose an appropriate wine list, has never been easier. Below is the list of professional consulting services we offer. You have a nice restaurants, ambiance, food and chef. Do you have a wine list to match? Do you want to sell more wine? We can help you make the most of your investment in your wine cellar and stock. Get a professionally prepared wine list, customized to your restaurant, which has something for everyone. This can be one reason why discerning, high-spending clientele will return to your establishment. Organize special sommelier-led educational tasting events and wine & food pairing events. Train your staff to respond to questions about the wine list and to serve wine correctly. Why engage Wine Embassy, to make your wine list or to establish a wine program? Your wine list will be prepared by Francois Carteau, our sommelier with a solid understanding of wines and food & wine pairing. 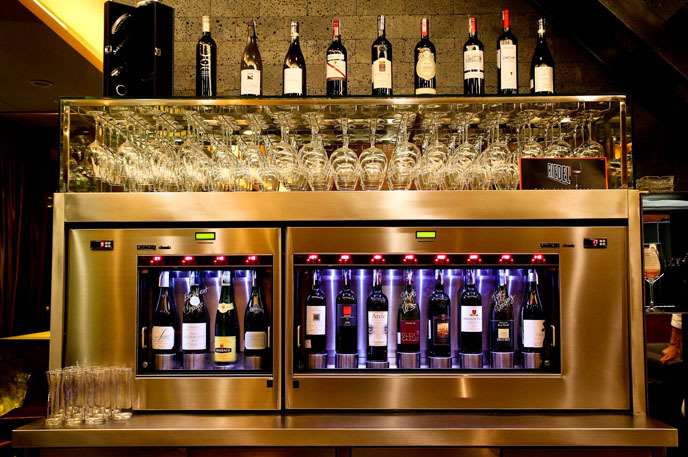 Our selection of wines for your establishment will be driven ONLY by your goals, your food and your menu. Your wine list will be unique: each wine list that we prepare will be customized to your specific situation and menu. We will provide specific wine and food pairing suggestions. Our knowledge goes beyond wines. The success of a wine list can only be determined by sales and the satisfaction of your clientele. We will help you periodically review the wine list at agreed intervals to refresh it and replace wines that are not selling. When we make a wine list for you, will also help you organize a tasting event to introduce your new wine list to your customers. We will help you establish a ‘Wine by the Glass’ program. Based on your needs or special menus, we will periodically help select different wines for the Wine by the glass program. We will help to train your staff to sell the wine and to serve it correctly. We will look at the range of wines available in the market to make a selection that fits your menu. We promise you a wine list that you can be proud of. We are committed to the highest standards of professionalism and service. Have questions about our Consulting service? Let us know!